Painting & prints of Skye - Old Man of Storr, Loch Fadda, Scotland. 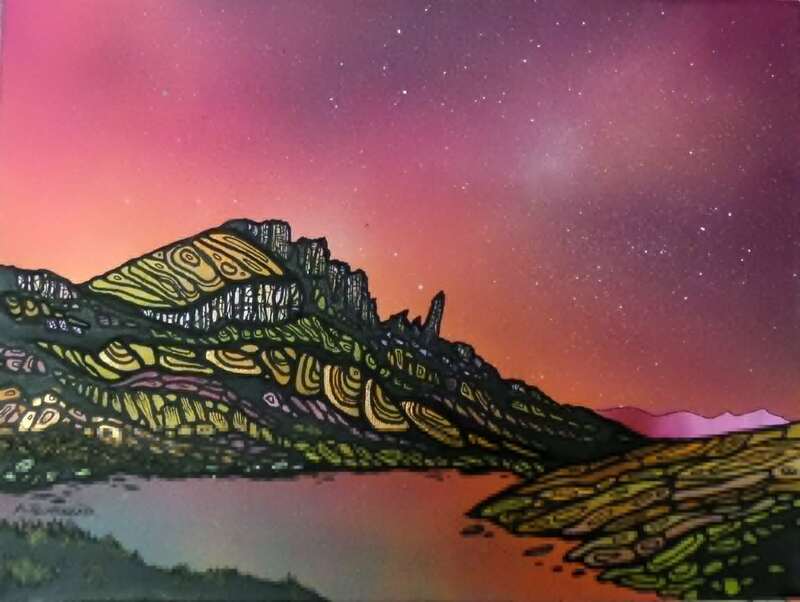 An original painting and prints of The Old Man of Storr, Loch Fadda, Trotternish Peninsula, Isle of Skye, Hebrides, Scotland. An original abstract, atmospheric seascape / landscape painting of The Old Man of Storr, Loch Fadda, Trotternish Peninsula, Isle of Skye, Hebrides, Scotland. Paintings & Prints of Skye - Old Man Of Storr Dusk, Across Loch Fadda, Trotternish Peninsula, Isle of Skye, Scotland.